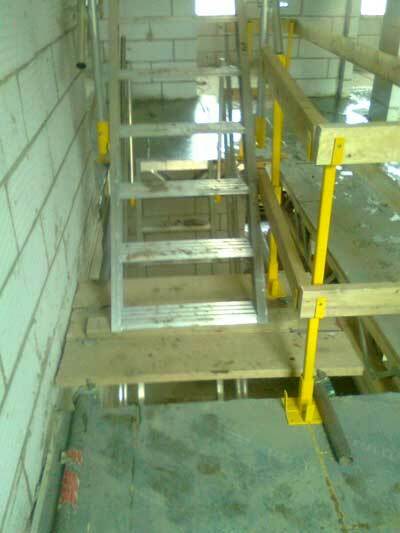 Site Stairs provides easy and safe access between levels. 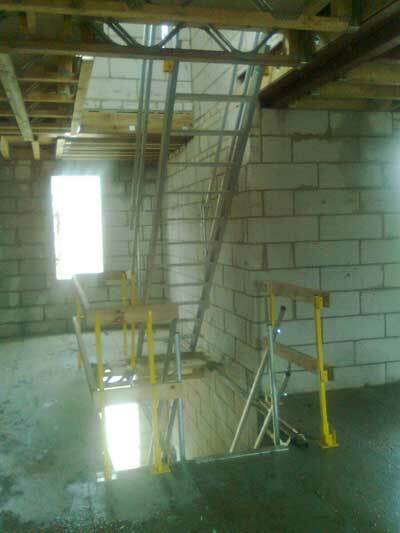 Site Stairs suits floor to floor heights of 2.65m to 3.05m. Site Stairs are lightweight temporary site stairs which weigh only 24kg yet are extremely strong and robust on site. They are extremely easy to handle and can be positioned and fixed in just a couple of minutes. 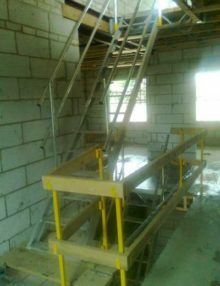 Site Stairs also improve safety by removing the need for ladders, thereby significantly reducing the risk of falls by personnel climbing up and down ladders to upper floors. Site Stair was originally developed as an important safety solution, however, since its launch it has become apparent that of equal importance is the improvement it gives to site working conditions as well as production, financial and technical benefits. 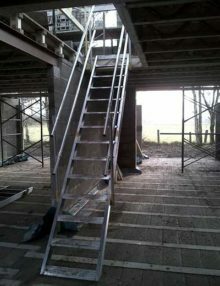 Site stair is proving to be an important step forward in improving working conditions within the housebuilding industry. 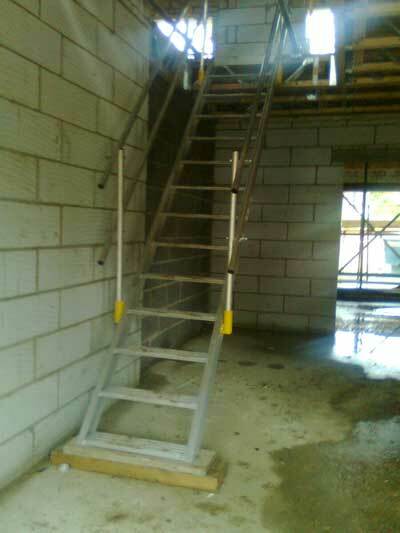 Safety Platforms know that Site Stair will radically change the way operatives gain access to upper floors in the housebuilding industry. 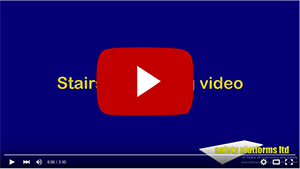 Nine years ago, we launched “Stairsafe” this is now the safest and most popular stairwell access platform used by plasterers, dryliners and decorators throughout the UK housebuilding industry. Constructed from lightweight, robust aluminium with low profile anti-slip treads the stairs are robust enough for daily site use yet light enough to be lifted into position by one person. At less than 24kg Easy Stair is solid and strong yet is easy to handle weighing less than many aluminium ladders.